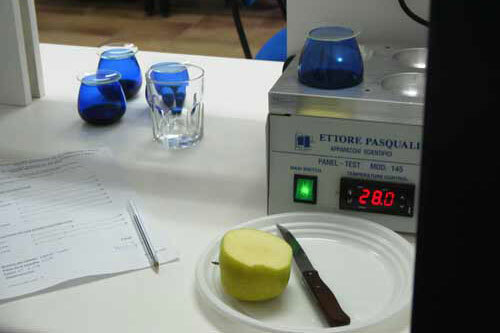 The organoleptic analysis of olive oil (tasting) is a prerequisite in accordance with current legislation for its proper commercial classification, being the big test to overcome by those who seek the highest category: extra virgin. Nevertheless, it is well known that companies in this field have difficulty accessing the services of a laboratory or tasting panel which offers all the guarantees of both quality and diligence necessary in conducting trial tests. 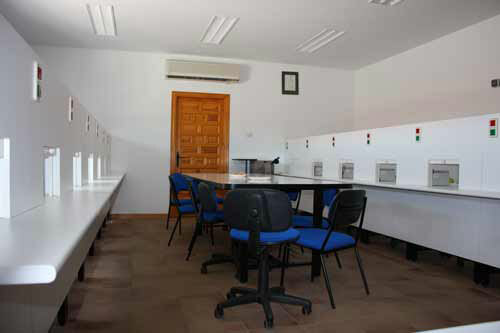 Therefore, in the Foundation CRDO Montes de Toledo, we have devoted an enormous effort to create a modern and functional laboratory of organoleptic analysis. Currently it provides the entire sector with a tasting panel service authorized by the Consejería de Agricultura de la Junta de Comunidades de Castilla-La Mancha (Regional Agricultural Council). This service determines the features of virgin olive oils, making it the only officially authorized privately owned laboratory in Spain according to Regulation (CE) 795/2002 (Orden de 18-11-2003 de la Conserjería de Agricultura). DOCM º 170). 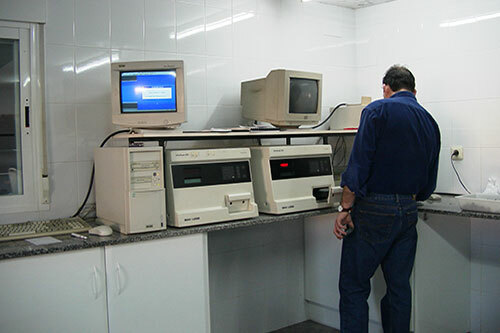 The laboratory is also certified by the National Entity of Accreditation (ENAC) for Norma EN-17025 (550/LE999) since October 2006 and recognized by the Consejo Oleicola Internacional (COI). However, all the afore-mentioned does not present an excess of bureaucracy that slows down laboratory activities. Quite on the contrary, from Montes de Toledo we are conscious that one of the main aspects of the quality of the tests is the speed in issuing results. This is why we aim to offer reduced delivery times that do not pose an obstacle to the normal functioning of your company.